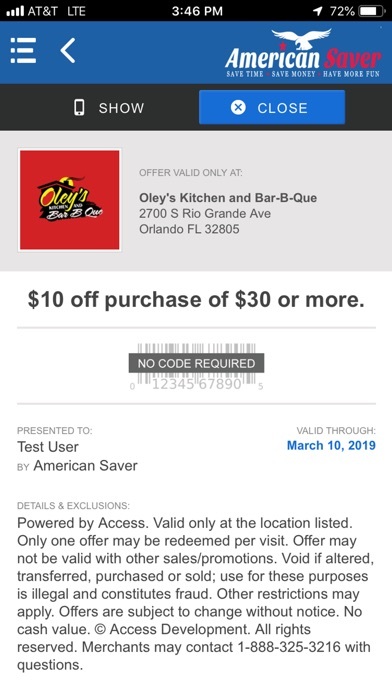 Once registered on www.americansaver.com, members can enjoy big discounts on-the-go through the mobile app. Discounts from national brands and locally owned merchants, simply show the coupon on your mobile device and save. Whether at home or on the road, members save up to 50% on dining, shopping and everything in between. You’ll find savings in big cities, as well as small towns across the United States. Our deals are negotiated directly with the merchants, which means you’ll get the best deals out there. In addition, most of the deals are ongoing and can be used multiple times saving you hundreds on things you buy every day. Features: •	No printing! 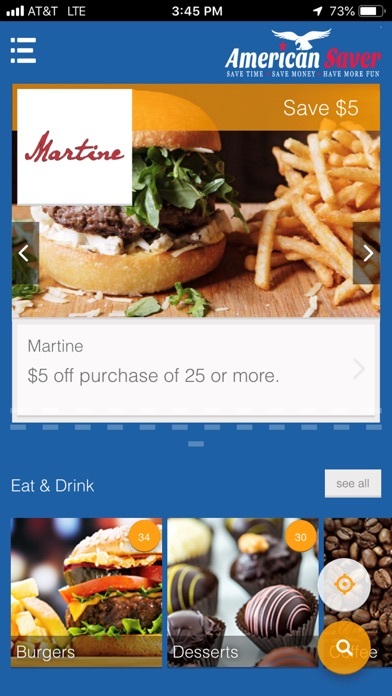 Just show your mobile coupon and save. 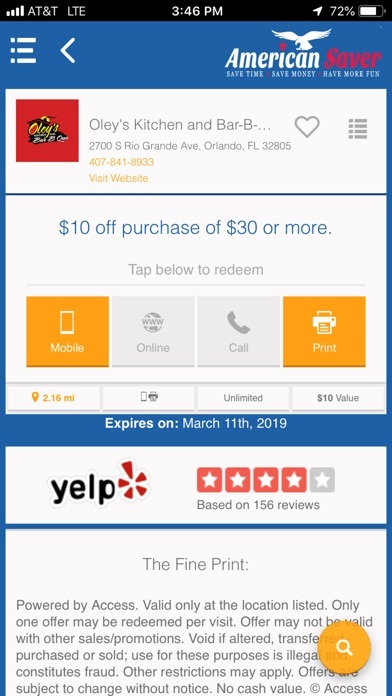 •	Multiple-use coupons. •	GPS / location search. 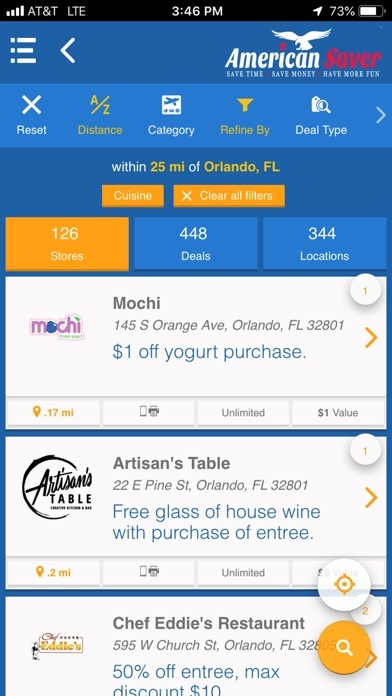 Find deals wherever you are! •	Over 150,000 locations For questions, drop us a line at info@americansaver.com. To start saving, simply download the app and log-in with the same credentials used on www.americansaver.com. Note: We apologize but registration codes are not publicly available at this time. This app is an exclusive benefit of our clients and their members. We welcome your comments at info@americansaver.com.